Galantis Feat. OneRepublic: 'Bones' Stream, Lyrics & Download - Listen Now! Galantis and OneRepublic are teaming up on a new track called “Bones,” which you can listen to right here! The Swedish dance superstars and the Ryan Tedder-fronted hit-making band dropped the collaboration on Thursday (January 31). 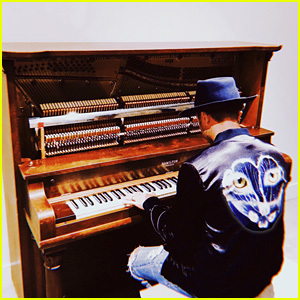 “It was an incredible experience working with OneRepublic and Ryan on this song. He has such a legendary voice and we’ve always been big fans of his songwriting, so connecting with him on ‘Bones’ came so naturally to us. This is the first Galantis music of 2019 and we can’t wait to show you what else we’ve been working on!” said Christian Karlsson. Listen to “Bones” and check out the lyrics below! Adam Levine sings his heart out on stage as he performs alongside his Maroon 5 bandmates at day three of the 2018 NCAA March Madness Music Festival held at Hemisfair on Sunday (April 1) in San Antonio, Texas. Also performing during day two and three were Imagine Dragons, OneRepublic, Daya, Luis Fonsi, Panic! at the Disco, Cold War Kids and much more. The 2018 NCAA March Madness Music Festival is a free, three-day live music celebration, put on by The NCAA and Turner Live Events, alongside official NCAA Corporate Champions AT&T, Coca-Cola, and Capital One. Kate Bosworth wears her shades as she arrives at the Hunter for Target Ultimate Family Festival held at Rose Bowl on Sunday (March 25) in Pasadena, Calif. 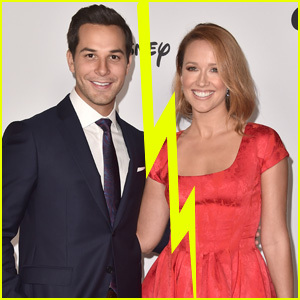 The 35-year-old actress was joined at the event by Tiffany Haddish, who had a lot of fun walking the carpet, Jenna Dewan-Tatum, and OneRepublic. “Excited for you all to get your hands on this #HunterXTarget collection! Coming April 14th. @hunterboots @target #ad,” Kate wrote on Instagram. FYI: Tiffany is wearing a Hunter for Target jacket and joggers with Louis Vuitton shoes. Jenna is wearing a Hunter for Target jacket and pants with an Onia bodysuit. Kate is wearing a Hunter for Target shirt, shoes and coat. 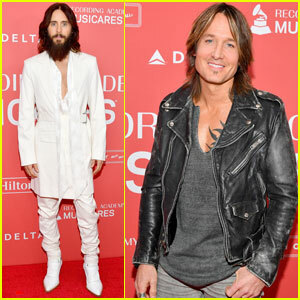 Keith Urban and Jared Leto stepped out to honor Fleetwood Mac during 2018 Grammys Weekend! The musicians hit the red carpet at the 2018 MusiCares Person of the Year event on Friday night (January 26) at Radio City Music Hall in New York City. They were joined at the event by honorees Stevie Nicks, Lindsey Buckingham, Mick Fleetwood, Christine McVie and John McVie. 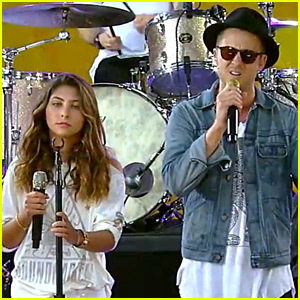 Other attendees included OneRepublic, Little Big Town, Juanes, Portugal. 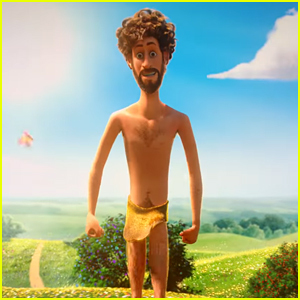 The Man and Imagine Dragons. Later in the evening, Keith, Imagine Dragons and Juanes took to the stage for a performance. FYI: Jared is wearing Helmut Lang. 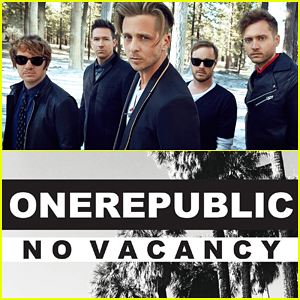 OneRepublic's 'No Vacancy' Was Meant For Selena Gomez - Stream, Lyrics & Download! After a four month hiatus, OneRepublic are finally back with a brand new song called “No Vacancy,” and you can stream it right here! In a lengthy Facebook post, frontman Ryan Tedder reveals that the real reason for their four month break has been his battle with anxiety that nearly caused him to quit. In the post, Ryan also expresses his disdain for album promo cycles and the band’s exciting future plans for releasing new music. “No Vacancy” is also available on iTunes now!